A native of Florida, Bruce Saunders earned his masters degree in jazz performance from the University of North Texas where he studied with Jack Peterson and Tom Johnson. Since moving to New York city in 1988, he has appeared on recordings with Jack DeJohnette, Peter Erskine, Dave Holland, Kenny Werner, Bill Stewart, Dave Pierto, Michael Cain, Glen Velez, Harvie Swartz, Mark Murphy, Ben Monder, Steve Cardenas and many others! In addition, he has performed with Bobby Previte, Scott Colley, George Garzone, Hal Cook, Ray Anderson, Rom McClure, Harvie Swartz, Don Braden, Brad Shepik, Rick Margitza, Rich Perry, Johnny Vidocovitch, Leon Parker, Terry Clarke, Donny McCaslin and many others. He has toured Europe, South America, Australia, Portugal, Japan, and the United States. His first CD as a leader (�Forget Everything�) was released in 1996 and featured Jack Dejohnettes on drums, Michael Cain on piano, Dave Pietro on saxophone and Tony Scherr on bass. His 2nd CD, �Likely Story� (Moo Records) was released in 1998. �Likely Story� includes Peter Erskine, Otmaro Ruiz, Dave Carpenter and Dave Pietro. His 3rd CD as leader, �Fragment�, includes drummer Satoshi Takeishi, bassist John Hebert and on saxophone, Adam Kolker. In addition to his playing career in New York, he has been active in the teaching community as well. 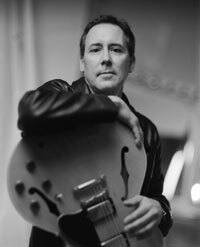 Since 1992 Bruce has been on the faculty of the Berklee School of Music (Boston) where he leads classes in improvisation, jazz harmony, ensembles (including a John Coltrane/Joe Henderson ensemble) and teaches private guitar lessons. The Diminished Workbook is a fascinating study and explanation of diminished chords and scales! It is geared toward guitarists but can be used with any concert key instrument. The book employs exercises, etudes and examples to illustrate the many different ways diminished chords can be used and is accompanied by online audio featuring a rhythm section of world-class New York city musicians. Author Bruce Saunders is a Professor in the guitar department at world-renowned Berklee College of Music in Boston, is a respected member of the New York city jazz community and has many recording credits to his name as well. Advanced Improvising Concepts for Guitar. Jazz Pentatonics is for intermediate and advanced players wishing to expand their melodic and harmonic vocabulary. The music is in standard notation as well as tablature and online audio is included where the more difficult exercises are played at a slower as well as faster tempo. The online audio was recorded with live drums, acoustic bass and guitar. All the exercises are included on the online audio as well as play-along tracks that enable the student to play with a rhythm section. The book covers the minor 7, dominant 7, minor 7(b5) and major(b6) pentatonics and gives the student many etudes and exercises from which to draw improvisational ideas. Developing motivic ideas through chord changes, �Melodic Improvising� is a systematic, detailed method to help the intermediate to advanced guitarist create melodies over harmony. Using techniques developed through his 15 years of teaching improvisation at the world-renowned Berklee College of Music, Bruce Saunders' book teaches guitarists the same techniques used by pianists, brass and woodwind players to create melodic solos. A unique book for any guitarist wishing to play "outside the box"! Advanced blues re-harmonizations and melodic ideas for guitar. Modern Blues is for guitarists who wish to expand their melodic and harmonic vocabulary. Online audio is included - that was recorded with live drums, acoustic bass and guitar - in which the more difficult exercises are played at a slower as well as a faster tempo. All the exercises are included on the online audio as well as many practice tracks that enable the student to play with a live rhythm section. The book covers such topics as re-harmonization, exotic chord / scale combinations, intervallic and triadic exercises, alternate pentatonic suggestions and exercises and many other topics. In a similar format to his other publications, jazz guitarist Bruce Saunders uses exercises, etudes and chord progressions from jazz standards to explore the sound of the whole tone scale, the augmented scale and drop-2, drop-3 and drop-2/4 chord voicings applicable to them. Blues, rhythm changes, Giant Steps, patterns, approach notes, "across the bar line" phrasing as well as examples from jazz greats such as Joe Henderson, Wes Montgomery, Mike Stern and Wayne Krantz among others are explained and taught in detail. This book is full of great sounds that you can use on standard jazz progressions, vamps, funk tunes, Brazilian tunes - whole tone can be used just about anywhere to create exciting solos!